When it comes to benefits of Yoga, there are much more than it appears. While the yoga practice means asanas as well as breathing practices to most of the people, the lesser-known, as well as the subtle and independent brand of yoga, is Yoga Tattva Mudra Vigyan which means the science of yoga mudras. Entirely based on the Ayurvedic principles yoga mudras are considered as a healing modality. In Sanskrit, mudra means gesture. A mudra may actually involve the entire boy or simple hand position. Yoga Mudras for health as often practiced along with pranayama yoga which enlivens the prana flow in the body and hence energizing various parts of the body. As per Ayurveda, diseases and ailments occur due to body imbalance which in turn is caused by excess or lack of any of the five essential elements. Our fingers have distinct characteristics of these elements, and each of these different elements acts as a specific and vital function within our body. The fingers are actually electrical circuits. The mudra hand positions adjust the energy flow which affects the balance of fire, air, earth, water and ether which facilitates healing. Yoga Mudras create a simple and subtle connection with the patterns of instincts in the brain as well as influence our unconscious reflexes in these particular areas. The internal energy, thus, is balanced as well as redirected which affects the change in the different sensory organs along with glands, tendons, and veins. It is also known as Mudra of Knowledge. The Gyan Mudra is among the most important mudra. This is the best mudra while doing pranayama along with any asanas. Touch the tip of the thumb along with the tip of the index or your 1st finger. The other three fingers are simply kept straight. It assists in meditation along with concentration as well as reduces the negativity present in mind. It also improves the memory, and with its daily practice, one can improve his academic performance and intelligence especially if he is a student. In Vayu Mudra, the tip of the 1st or index finger is touched to the thumb’s base, and the thumb is positioned over the finger with a slight thumb pressure being exerted. Remaining fingers remain straight in this yoga mudra. It is especially beneficial in the neck and spinal pain. In Akash Mudra, the practitioner has to join the tips of his middle fingers and thumb while keeping the other three fingers in straight position. It requires keeping the hand on the folded knee. It must be remembered that the palm is facing upwards. A little pressure is put on joined tips while the rest of the hand is kept relaxed. It is effective in removing all ear problems and avoiding vomiting as well as vertigo. In the Shunya mudra, the middle finger’s tip is put at the thumb’s base, and the thumb is placed over the finger while putting slight pressure on the thumb being put on the finger. The other three fingers are duly kept straight. Daily practice of this Mudra helps in reducing ear pain and watering of the ears. It strengthens gums and is helpful in throat problems and thyroid disease. In this mudra, the tip of ring fingers is joined with the thumb while keeping the other three fingers straight. The hands are kept on the folded knees with the palms facing up. A little pressure is put on joined tips and rest of the hand is kept relaxed. It helps in the improvement of digestive system functioning as well as reduces the vitamins deficiency. It provides energy as well as luster to the body. Among the many meditation mudras, this mudra is also quite beneficial. 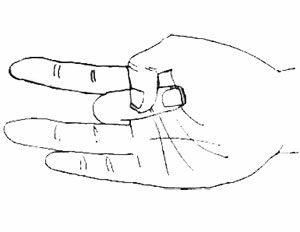 In this mudra, the ring finger is kept at the thumb’s root and the thumb presses on it. Then both hands are kept on the folded knees while keeping the palms facing up. Just a little pressure on the palm is applied while the rest of the hand is kept in a relaxed position. It is quite helpful in various diseases like diabetes, and liver problems. It reduces the cholesterol levels and also strengthens the body. In this mudra, the tips of the little finger are joined with that of thumb while keeping the other three fingers straight. 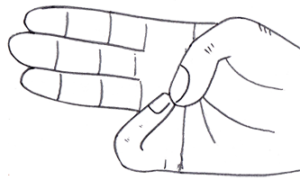 The hands are kept on the folded knees with the palm facing up. A little pressure is applied to the joined tips, and the rest of the hand is kept relaxed. It is quite beneficial in removing all problems related to blood as well as skin along with urinary problems. 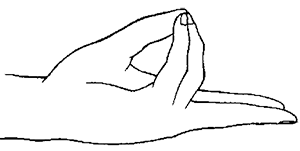 In the Pran mudra, the tips of the ring finger, the little finger and the thumb are touched together while the remaining two fingers are kept straight. It is quite beneficial in removing nerves and eyes related problems. It also energizes the body and helps in balancing the vitamins in the body. All these yoga mudras have their own benefits and are quite impactful in the lives of practitioners. They can bring a lot of change in the physical and mental well-being of the person. They also help in meditation and creating a spiritual connection. They help in maintaining the balance of five elements which is essential for health. These mudras yoga in your hands are quite easy to do and can be practiced without any effort. They can bring a great change in your psyche and approach to the physical and spiritual world. The Buddha mudra or these different mudras can rejuvenate your body, improve the nervous system, help your body in fighting diseases and provide relief in various ailments.